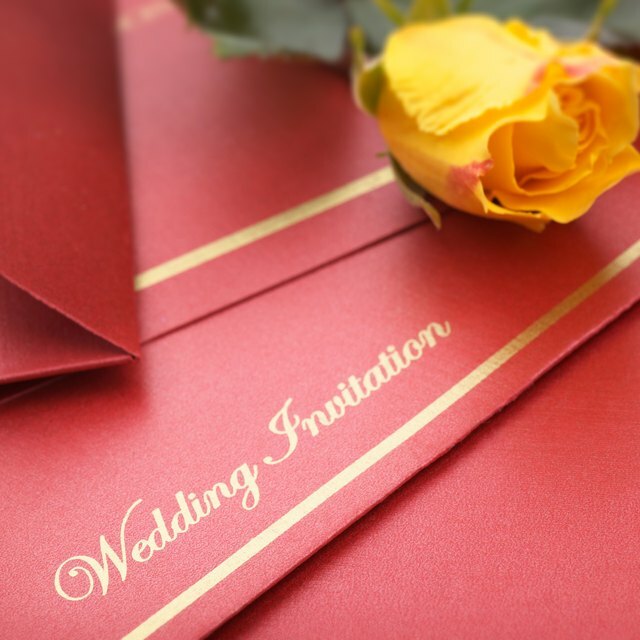 The language you use for your invitations should suit the wedding's style. With weddings that range from formal affairs in front of hundreds of guests to casual, backyard ceremonies, there is no one-size-fits-all approach to writing a wedding invitation. However, regardless of the nature of your ceremony, your invitations should hold true to several universal rules -- they should recognize the hosts, include all the appropriate information about the wedding and have an RSVP element. 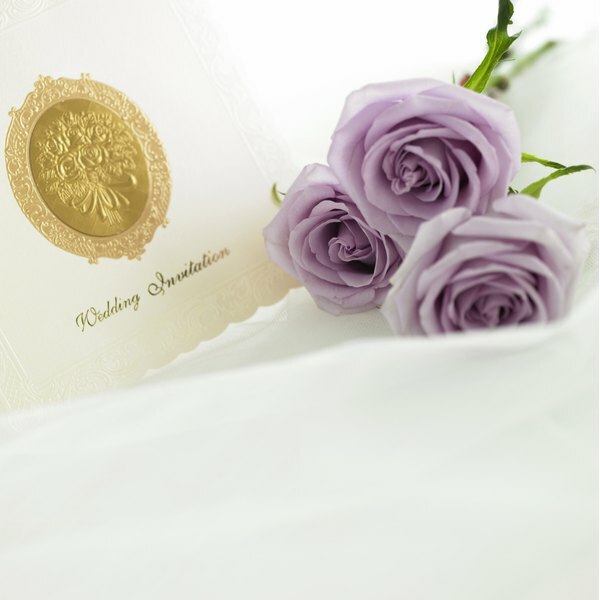 Wedding invitations typically begin by listing the occasion's hosts. Write the hosts' names and their corresponding titles, followed by a line such as "request the pleasure of your company" or "request the honor of your presence," depending on whether the ceremony is in a house of worship, followed by the names of the two people getting married. The information customarily appears on different lines. If the soon-to-be married couple is hosting the wedding, their names appear at the start of the invitation. Always place the hosts' names at the top, whether they're a divorced couple or a parent and a step-parent. The next lines of the wedding invitation should provide specific details about the wedding's date, time and location on separate lines. For a traditional invitation, list the weekday, date and month, time of day, venue, city and state and reception information on separate lines. The RSVP card is an important element of the wedding invitation, as it allows you to track who plans to attend the event. This card is typically simple in nature, with a line for the guest to write his name and the name of his date and check boxes to identify whether he will attend or not attend. Always include the date by which you wish to receive the RSVP. The guest uses the "M" as the foundation for "Mr.," "Mrs." or "Ms.," or a combination thereof, such as "Mr. and Mrs.," and then places a check in the appropriate box. For informal weddings, many couples ask prospective guests to confirm or decline their attendance by email.